I definitely enjoy the chance to do some screen printing completely for my own use, since it is an opportunity to push my limits and experiment without an actual deadline. 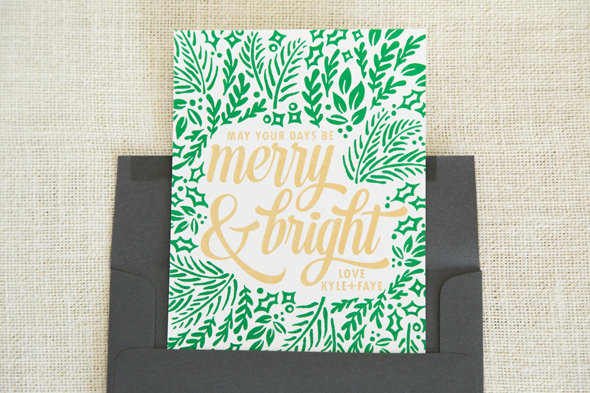 Christmas cards are one of those times of year where I take a chance, even though the holidays get busy and I’m often scrambling to get our cards printed and in the mail. For this year, I’d had this idea of a Scandinavian style in my head for quite some time, but I also knew I wanted something really bold with multiple colors. The final design fit the bill, bold and graphic (and with metallic gold ink, of course). I was happy to send these through the mail, although I wish I had made more to send out! A little update to my Etsy shop! These two new cards are very different styles, but are both great new additions to my shop and I’m happy to finally be sharing them. 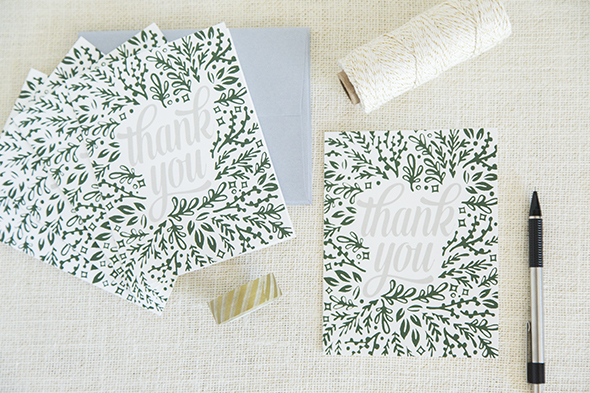 This new thank you card design is available in sets of five. 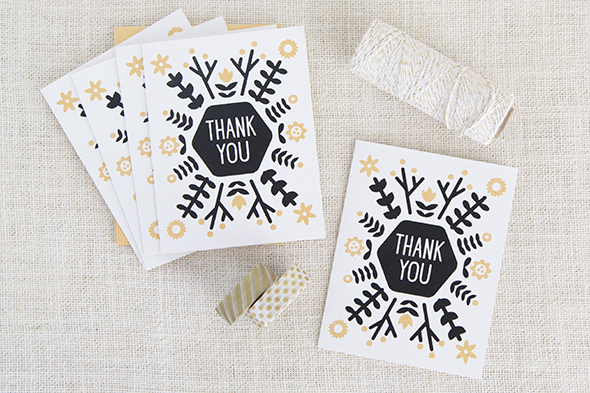 Each card is screen printed by hand, in black and metallic gold inks. 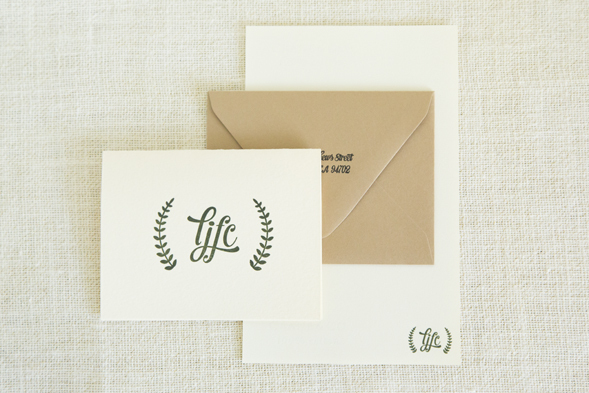 They are matched to a metallic gold envelope that gives the notecards a little bit of extra fanciness. I can’t help but giggle a little bit every time I see these silly little faces. 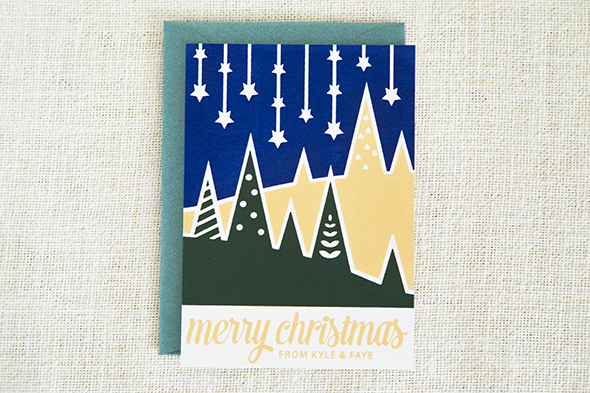 This design is available as a single card. 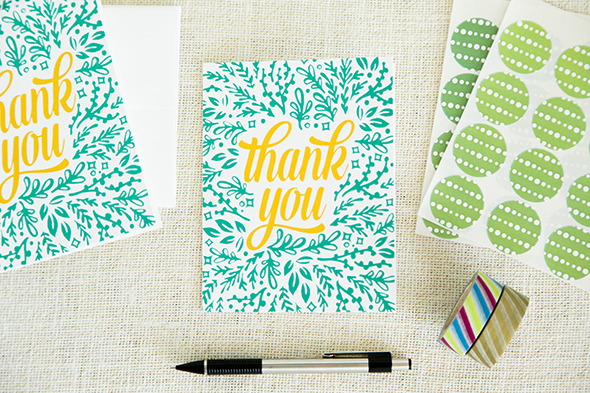 Each notecard is screen printed by hand, in metallic gold, hot pink and green inks. A white envelope is included. 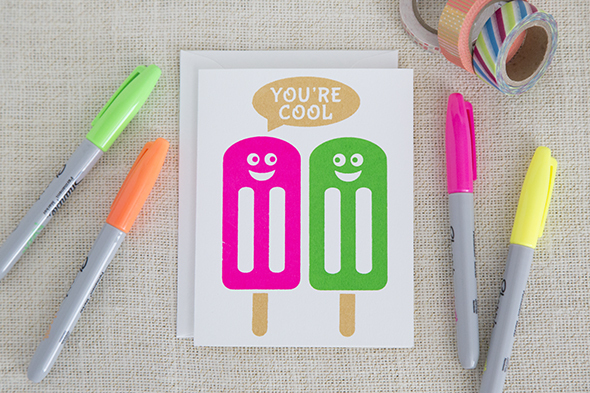 Two new cards in my Etsy shop! These are a bit of a departure from my normal graphic design, but I really like hand drawn motifs and incorporated some into my work. 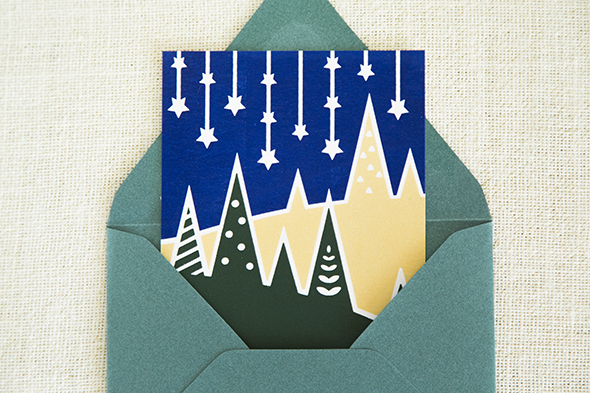 I first used this design to make my Christmas cards last year and received such great feedback, that I wanted to make them into something everything could enjoy. They are currently available in two different colors combinations. One is brighter, with turquoise and yellow ink. 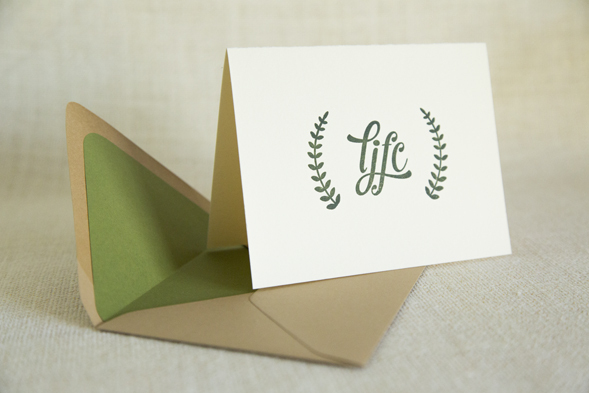 The other is a bit more understated, but features metallic silver ink with sage. 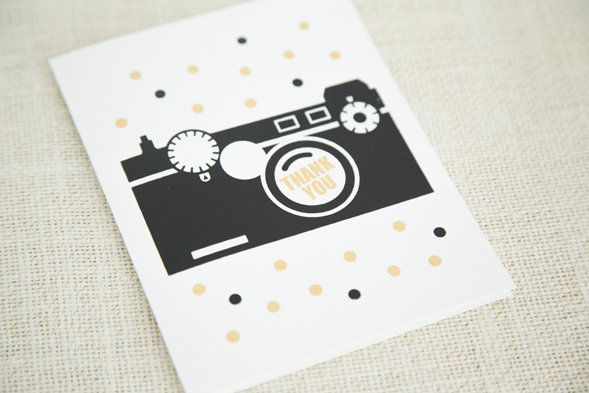 Each card is screen printed by hand in my home studio. 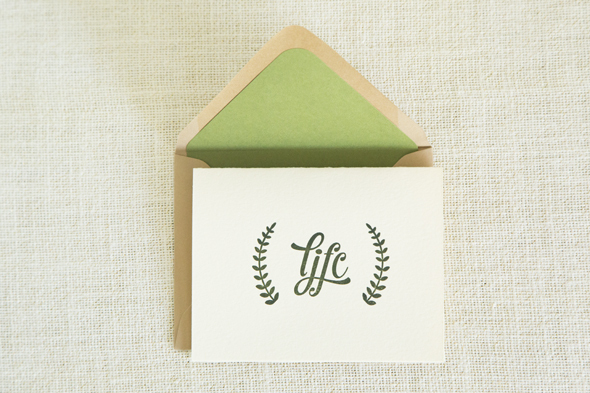 A friend of mine wanted a custom stationery set and my mind immediately went to the idea of letterpress printing. It’s a method I really enjoy, but use only on larger print projects. I also got to share the process with her and her daughter, inviting them over to pull a few prints on my vintage Adana press. 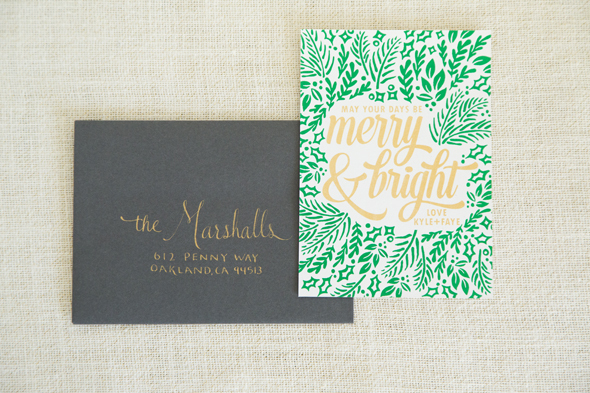 The process went smoothly and we ended up with a beautiful set of paper goods for her. Now for the printing details. 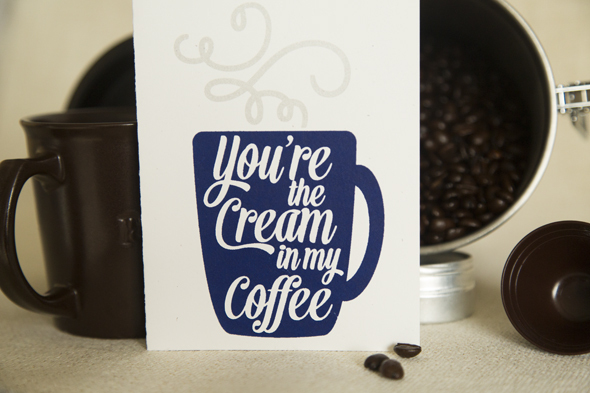 All items were hand-pulled on a vintage Adana Press. 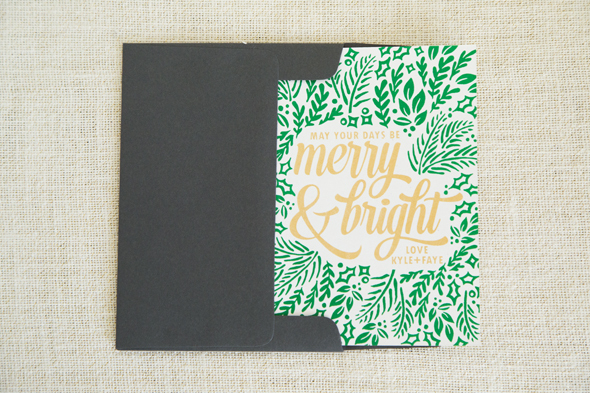 This set was letterpress printed in two custom PMS inks (dark green and dark gray) onto Ecru Crane’s Lettra paper and a Kraft Colorplan Envelope (lined with French Pop-Tone paper). 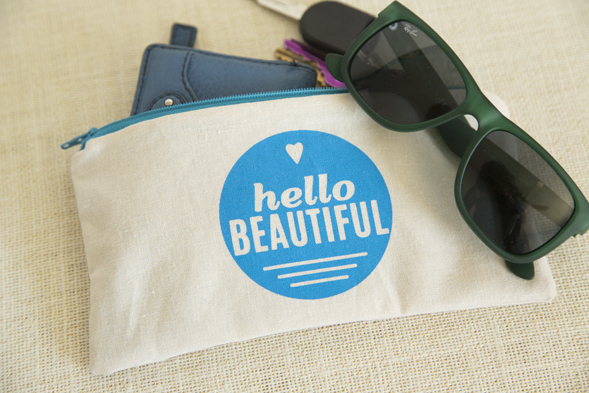 I’m always, always, always thinking of new items I can expand my screen printing onto, thinking about all the little touches that make a home more personal and homey. After a bunch of trial runs, I have added the first coasters and throw pillows to my shop. More color and design options are planned to follow later this year. 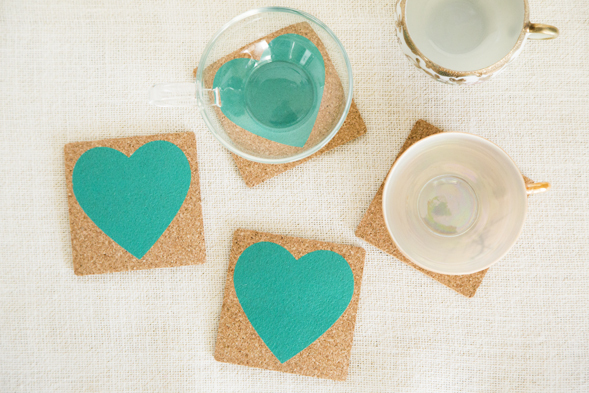 The set of coasters are screen printed with bright turquoise ink on cork and backed with wool felt, to keep your table surfaces happy. 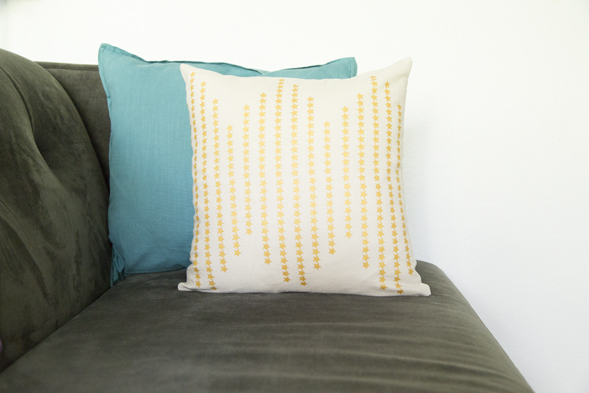 The throw pillow is screen printed with metallic gold ink on a linen blend fabric, then sewn up and stuffed with a pillow insert. Now available in the Etsy shop. 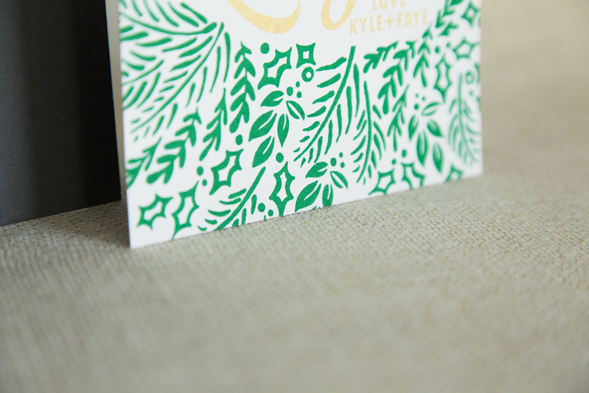 To say I like these cards is an understatement – I am so happy with how they turned out. 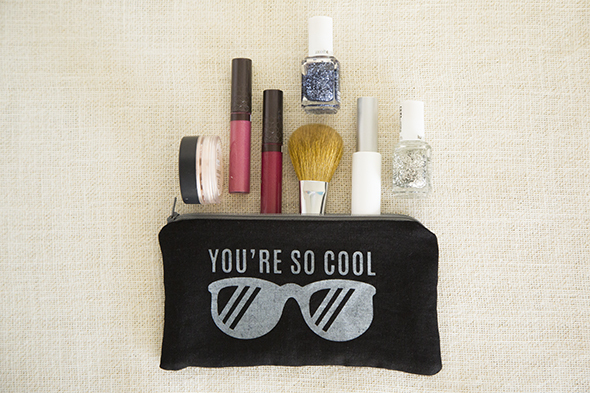 Because I am who I am, my own projects are often over the top, with all of my favorite creative elements thrown in. Enter this year’s Christmas cards. Usually I dream up a beautiful idea, wait too long and send out something else last minute. 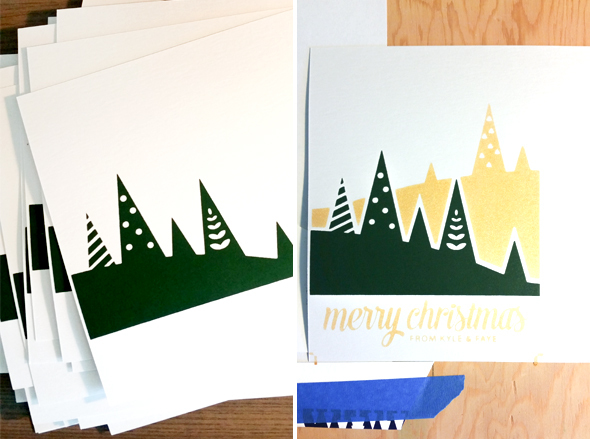 Except this year, I was determined; four days before Christmas found me screen printing these puppies. 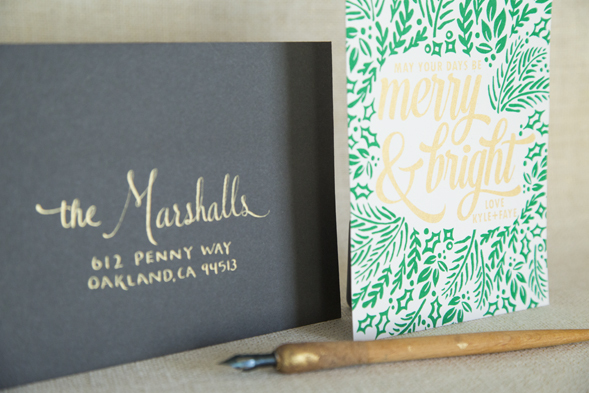 Metallic gold ink – check. Full bleed artwork – check. Gold calligraphy – check. One crazy excited Faye – check! p.s. If you didn’t receive a card from us this year, I do apologize. In my haste, I didn’t count how many we actually needed and figured forty would be plenty and it wasn’t. 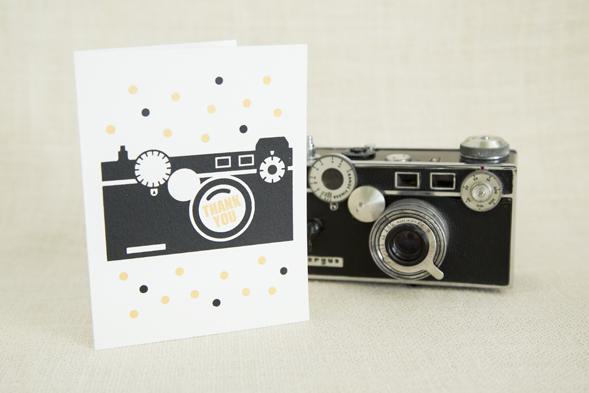 Etsy: Screen Printed Birthday Palooza! 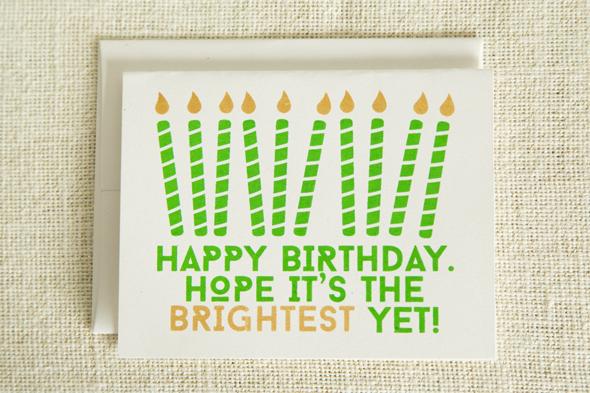 When considering where to expand my greeting card line, my mind always goes to new birthday cards. 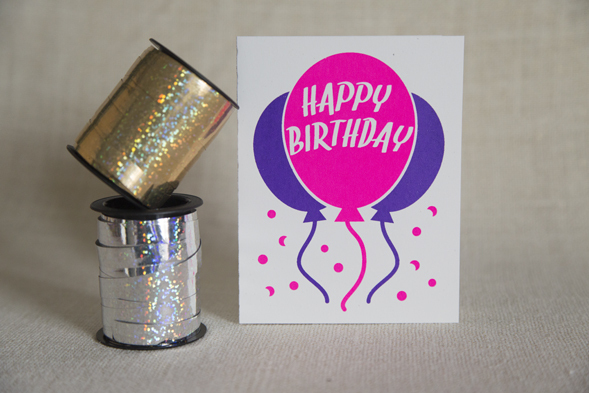 There are always birthdays happening and every person is unique, so I have fun designing new ideas to celebrate. 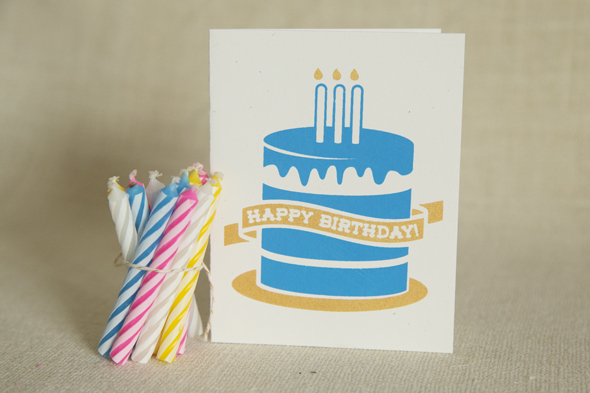 Recently, four new birthday cards found their way into my shop, just in time for the holiday craft fairs. 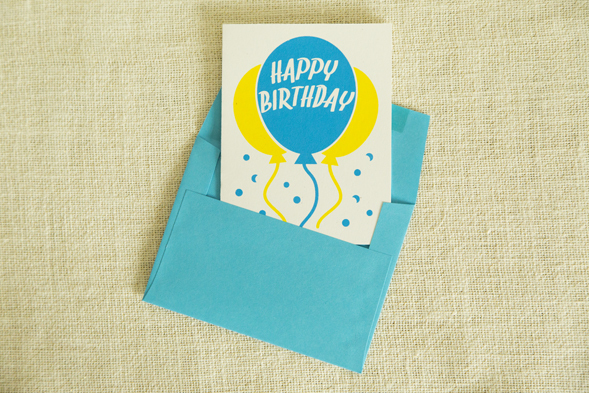 Find one perfect for your next birthday boy or girl! 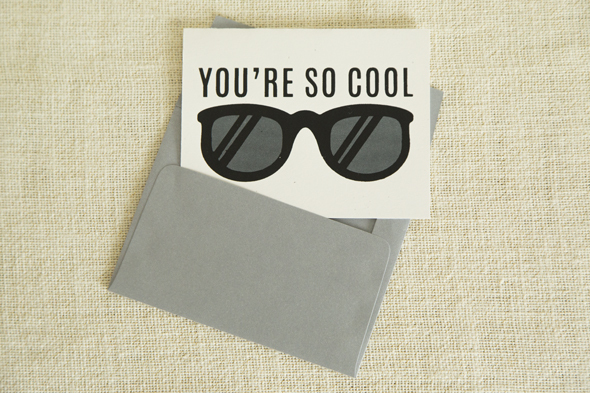 To expand my greeting card offerings, I wanted to use some fun messaging that are not tied to a single holiday. 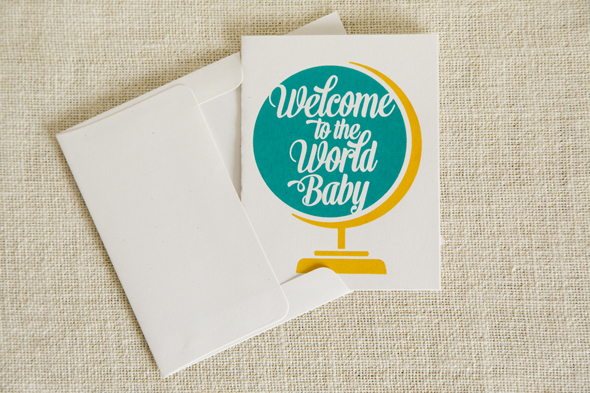 It’s always a good time to tell someone that they are special to you and babies are born year round – so I had some ideas to start out designing. 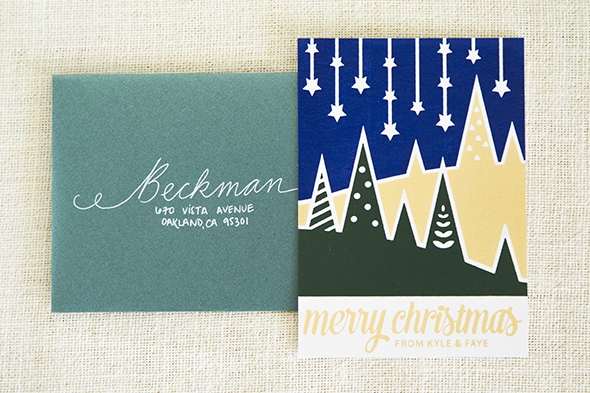 All cards are screen printed by hand in my home studio, each with two ink colors. Now available in my shop! Tell them what you really think! Treat a lovely lady in your life to one of these cute new little zipper pouches, now available in my Etsy shop. 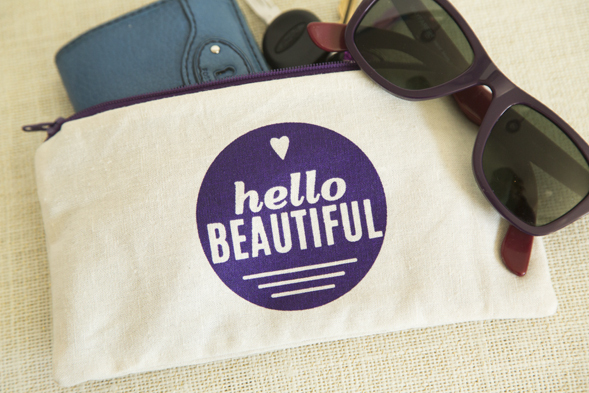 Each zipper pouch is screen printed by hand in one color of ink, then sewn up. Exterior fabric is a linen blend, while the interior is lined with a patterned cotton print. Makes a great gift!